I am a serial killer. I throw the canaries eggs out of the nest. Posted July 22nd, 2013 . Love what she’s done to the lampshade. lol. right?. And If birds have silly smirks, Mandy certainly takes the cake. I own a Cockatiel and would never put it in a cage with nesting canaries. 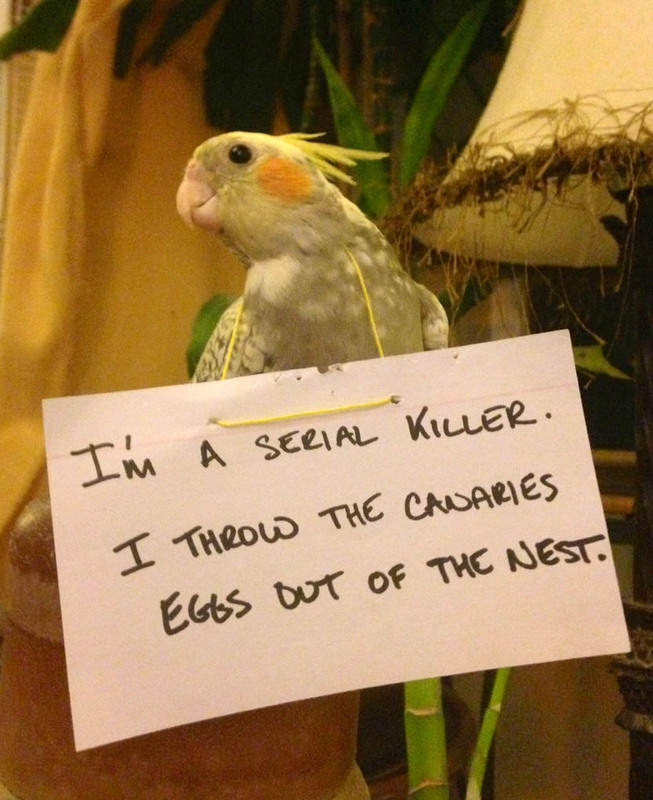 They tend to be pushy and also might think the eggs are toys. I had one and she love to coral our doves , who by the way made 4 of her . It was the funniest thing to watch. e would have them out at the same time and she would spread out her wings and move the doves where ever she wanted . Just because she could.